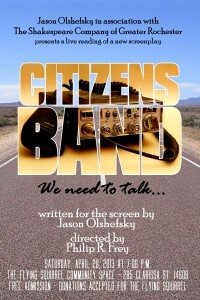 So after I finished writing the script, I had a few friends read it and got positive feedback. I sent an e-mail to someone I met at a production company but jee never got back to me. That was about three days before the submission date for the BlueCat Screenplay Competition; I decided to wait because you can submit early and they will review your submission, then you can submit again for the contest and be reviewed again. 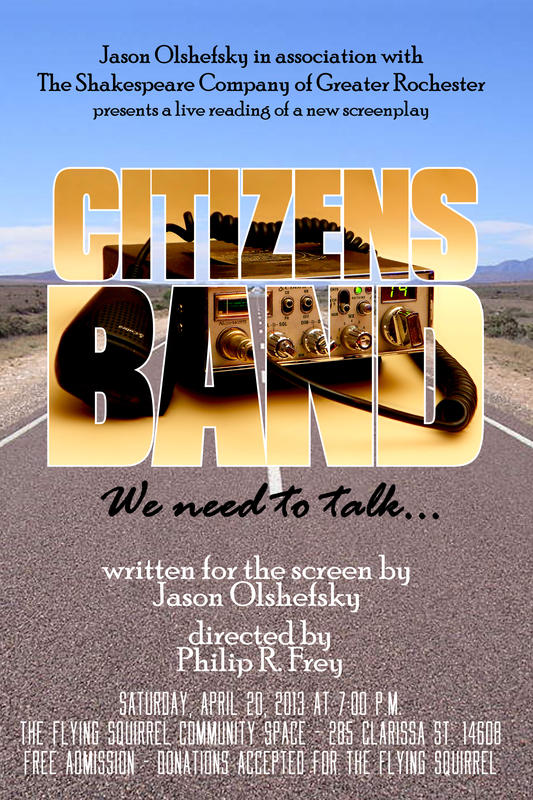 Over the course of the last few months, I reformatted the script as a stage play (essentially adding a "Narrator" character who speaks the action.) Phil got hold of some actors, and we did a rehearsal on April 13. I was surprised to find so many errors — I thought I had edited pretty well. It was good to hear it out-loud for the first time (although I had to read quite a bit of it myself to fill in for missing actors.) In the end, I changed 45 of the 88 pages. I'd also like to thank Phil for directing and reading, Meredith Carroll for reading Ann, Jonathan Wetherbee for reading Ben, and Jacqueline Moe, Brad Craddock, and Ali Fernaays for reading the remaining smaller roles.